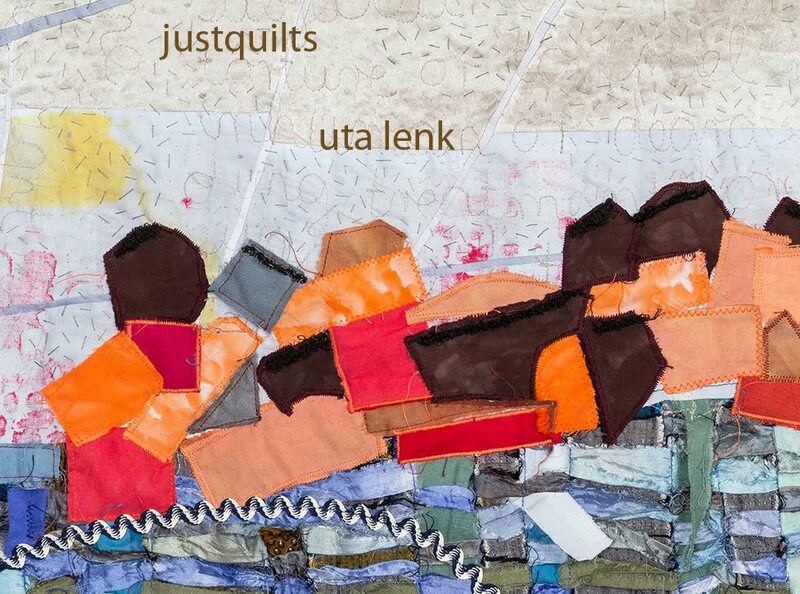 Uta Lenk - justquilts: Practice what you preach! 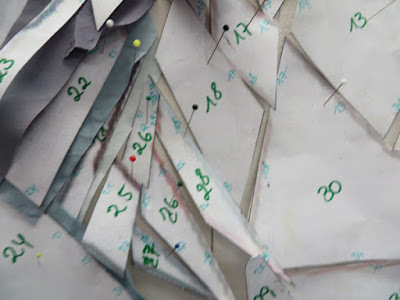 In my class "IQ - from inspiration to quilt" I keep telling the participants that it is essential they keep their designs - for which they are then going to develop and execute paper templates - simple. Not too many pieces, and definitely watch out so that you don't run yourself into too many tricky corners! 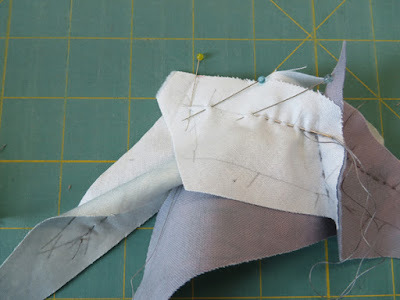 For these I have found the solution of half-closed seams, which work fine if you really don't have too many pieces, and the first encounter with this idea usually comes as a kind of Flash of Enlightenment to the participants. But with this one quilt which I am currently working on I wonder who did not look out for what she was doing! 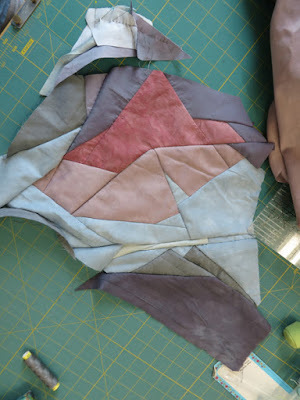 Either I wasn't paying any attention at all, or it has been much too long since I had worked a quilt in this technique. A lot of pieces. And very very many tricky corners. Not even half-closed seams would present a solution to the problems I have designed into the whole thing. Which is why I decided right at the beginning that a large part of this top would be hand-pieced. And now I am slowly nibbling my way through it all. It is far too hot to go anywhere on outings, or sailing. Plus my son has a severely wounded knee which, if you listen to his groans and complaints, almost required amputation of his entire left leg, and therefore he could not go anywhere (except that after my husband had left the house because he really needed to get out he then started digging a hole in the garden because he wants to start a goldfish-pond). So I packed him off to a friend in the afternoon to help him get over the vacation cabin fever and had an afternoon to myself, and my quilt.